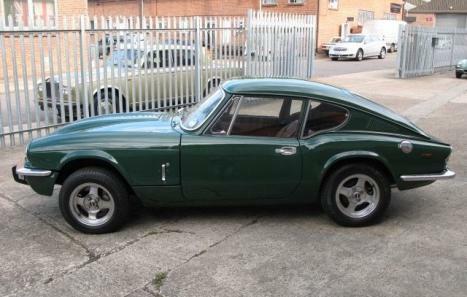 The Triumph Gt6 MKIII was first introduced in 1970, following its predecessors it had many upgraded features including the revised cut-off rear and detailed mechanical changes. 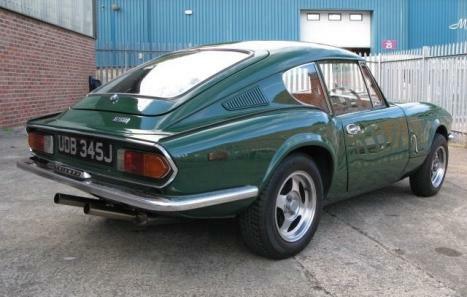 This fine 1971 example was the subject of much restoration work from 2004 to 2008, where the car was treated to a full body off restoration (pictures to show). The history file that is with the car has many parts invoices and receipts that detail this work. Also in the history file there is a number of old MoT’s dating back to 1987. The speedometer shows 83782 miles, which suggests that the car has only done 19,852 miles since its total engine overhaul. In addition the car has received a recent check over in a local classic car workshop and is in fine running order, the engine is particularly strong with lots of power, no over heating and good oil pressure, the overdrive gearbox is also in good working order. Fitted at this time was an upgraded aluminium radiator and additional fan to produce a car that is better prepared for long journeys and touring. The body is sound throughout, with no signs of rust or corrosion yet the paintwork has developed some minor defects. Notably the bonnet, that has some cracks and imperfections, overall the finish of the paint is good. 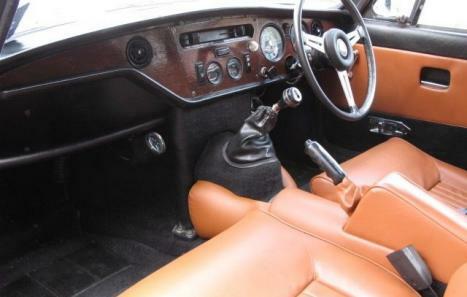 Recently fitted with new door cards, seats and carpets the interior is in excellent condition. 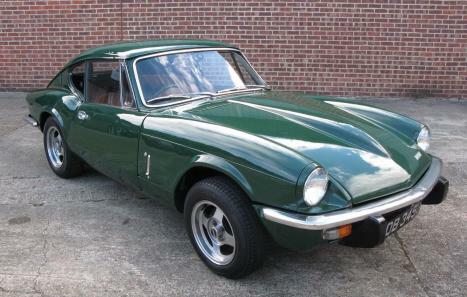 A well-presented and honest example with an extensive history file, it comes with an MoT till April 2017.